Organic produce comes from nature, and nature they say is beautiful. The beauty of nature transcends beyond our imagination towards the sun that wakes us in the morning, the air that we breathe, the rains that bless us with greenery and of course to babies that make us smile. This is why when parents need solutions to their baby’s need, they look no further than towards nature to produce the solution. 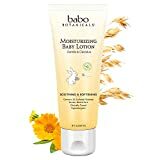 Selecting the best natural lotion for your baby can be a very challenging task given the wide number of organic products we have on the market today. This is why we have compiled this piece to give you a one-stop shop towards answering your questions, especially towards selecting the best organic natural baby lotion for your little ones. It is made with organic aloe vera, shea butter, vegetable glycerin, sunflower oil, and jojoba oil in order to help nourish your baby’s skin. This combination of nutrients is selected by highly skilled professional doctors who know what it takes to have a perfect baby lotion. Due to the hard work they put into this product, their work has been recognized by the necessary standards authorities. Puracy natural baby lotion is up to 99.95 (almost 100%) organic. Their careful selection of completely organic products gives your baby a gentle and calming effect. Additionally, it is enriched with vitamin E for a deeper moisturizing without residues and greasiness. It also has lavender and pink grapefruit essentials that help give an even more pleasant feeling to you and your baby. The Puracy organic baby lotion can be applied at all times and locations as deemed necessary. It comes in a 12oz ( 355 ml) package. Given the immerse properties of this lotion, we highly recommend it for parents and rank it 1st on our list. Earth mama was initially released into the market as Angel Baby Lotion. It was released by Melinda Olson, a nurse, and herbalist who believes in providing babies and their mothers with the best natural products possibly available. Since 2002, Melinda Olson’s Earth Mama has been supporting mothers and babies through the birth process, offering natural products and therapy for pregnant women and also providing natural products such as the Earth Mama natural baby lotion for babies. Since its introduction, it has grown to become one of the most widely purchased baby lotions available on the market. Earth Mama produces unscented, orange and lavender scented baby lotions. The product we review here is the unscented version. It comes with no petroleum, mineral oil, parabens or artificial flavor. Earth Mama is a dermatologist and clinically tested for irritation. Users have praised the ability of Earth Mama in dealing with irritation, dry skin, skin peels, and allergy related issues. It is also rated for maintaining smooth, silky and moist skin surfaces of its users. One of the lowest ingredient composition lotions in the market. It comes in 60 ml (2 oz) and 240 ml (8 oz) traveling and regular sizes to suit your immediate needs. Earth Mama is rated number one on EWG’s skin deep cosmetic database. It is also certified by NSF/ANSI 305 standard for personal care products containing organic ingredients. Made with pure honey, aloe vera, and shea butter as main ingredients. Some parents choose this product due to its superior quality in treating dry sensitive skin, Eczema, and rashes of their babies. Baby Mee producers pride their product based on the natural honey they use and the benefits that come with the honey. The claim to take raw ingredients of up to 98% organic nature to produce a final product that is 70% organic. Babe Mee comes with sunflower oil which is popular for its property of healing dry scaled skins. It also comes in a fragrance-free format that helps it deal with issues of allergies. Mee Beauty as a company donates 1% of its revenue towards the planet by helping save bees. This means that you donate 1% of the purchase amount of buying a Baby Mee lotion to saving the earth. Various factors inform the choice of a product. If pricing is your factor, then Cetaphil daily lotion is a product worth considering. Comes with the legendary calendula extract which is known through ages for its property of soothing dry sensitive skin. Its other ingredients include almond oil and sunflower oil, all known for curing skin related diseases, also free of paraben, colorants, hypoallergenic and mineral oils. Cetaphil lotion is dermatologist tested under carefully examined clinical procedures. It is available in a 13.5 oz bottle. Popular among experienced customers for its nice floral scent. It ships internationally. It offers so much quality at a relatively lower price. This product is recommended for price seekers. Since 2007, they have been in operation to create high-performance skin care products that celebrate beauty whilst honoring the earth. Their products are made from plant-based ingredients to ensure gentle and effective reactions. The Live Clean lotion is specially made from coconut, safflower and oat oils. These ingredients ensure a calm and relaxed surface on your baby’s skin. It also contains a soothing blend of lavender, chamomile, jasmine and vanilla extracts to help relax, comfort and give your baby a yummy experience. The Live Clean brand ensures the production of 100% organic products whilst following cruel free and ethical standards of production. 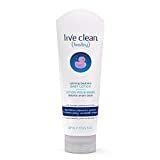 The Live Clean baby lotion comes in a biodegradable package to aid in recycling. But one more important feature that may make you purchase this product is its price. Whilst possessing superior quality, it comes at a very low price as compared to other products. It is also free of harsh chemicals such as parabens and sulfates. It is popular for its ability to nourish and rejuvenate dry skin types. It comes with chamomile, calendula and aloe vera to help soothe and calm your skin. Even though this cream is not specifically made for babies, its all natural and chemical free ingredients make it suitable for all ages. This means that you can use the same lotion as your baby. Another great feature of this lotion is that it is non-greasy, hypoallergenic and has a good ph balance. It comes in four pleasant scents to suit your specific desire. These scents come from naturally selected ingredients and non-synthetic fragrances. It also contains olive, shea and jojoba oils to help nourish and moisturize your baby’s skin. Honest face and baby lotion is a product we recommend for parents who wish to use the same lotion with their baby. This cream is specialized towards providing tailor-made baby cream solutions for eczema related problems. Comes with manuka honey, organic aloe vera, cehami, coconut oil, shea butter, and olive oil. These ingredients are all known for their ability to cure skin related infections whilst maintaining a moist and smooth surface of the skin. It also contains essential minerals such as amino acids and other trace minerals to boost your baby’s general health. Due to the trust that Elizabeth Parker Naturals have on their product, they provide a 60-day money back guarantee if you are not satisfied with their product. Customers rate this product highly due to its ability to cure broken, dry and scaly skin conditions. They are a certified organic farm located in upstate, New York. The products are made from a facility where the highest quality botanicals are gathered from around the world. It comes in organic oatmeal calendula formula which helps with skin irritations, itches, and eczema. Other key ingredients include sunflower seed oil and watercress. Due to the procurement policy of Babo Botanicals, local industries where the raw ingredients are sourced from ending up getting improved. This, in turn, translates into a quality product. Babo natural cream is free from soy, dairy products, dyes, and synthetic fragrances. Babo comes in only one package size. It ships internationally to the country of your choice. Babyganics fragrance-free lotion is an all organic baby lotion made from shea butter, olive oil and avocado. These ingredients as we discussed earlier have superior properties of healing broken and dry skin. They also go a long way in maintaining the silky surface of your baby’s skin. Additionally, it contains 100% neo-nourish seed oil blend to help give your baby a more pleasant feeling from the outside whilst working on keeping the inside safe. It is made wholly from plant-based ingredients carefully selected in order give you the best results on your baby. It is devoid of chemicals such as paraben, mineral oil, petrolatum, and artificial fragrances. Due to this, it helps treat all skin types of babes without revealing their allergies. However, Babyganics lotion may have a light scent in reference to the cocoa butter used in it. Burt’s Bees nourishing lotion as the name suggest is made mainly from bee products. It also contains sunflower seed oil, shea butter, and buttermilk in order to ensure a softer skin surface of your child. When applied after bathing, it is clinically proven to provide up to 24 hours of moisturization. This means that with Burt’s Bees baby lotion, you do not need frequent application and hence you can have a longer lasting lotion. It is also manufactured together with other baby products to help give you a one-stop shop solution for all your baby’s needs. It comes in a creamy-quick absorbing formula to help maintain a not greasy surface on your baby’s skin. Another great feature of this product is that it can be used by people of all ages. This means that parents may use this product together with their children. This is a product we recommend for parents who wish for a softer skin surface of their children. It is pediatrician tested. Organic baby lotions as we have seen contain immerse benefits for our tender babies. The right choice of a natural lotion together with the careful application and personal care can create unbelievable benefits for the health of your baby. We have made our suggestions, it now left onto you to make the final decision. Go through the list again if you need to, consider the guidelines, weigh the pros and the cons of the product to see which one perfectly fits your immediate requirements. Nature, as they say, is beautiful and would always be until the end of time. Your baby is a product of nature, always keep him/her naturally. Having a newborn at home is a very pleasurable feeling but maintaining the health of the newborn is the more demanding responsibility. Medical doctors have found out that most babies are born with dry skins. This means that parents need to constantly moisturize the body of their babies in order to prevent skin related infections. However, given the relative delicate skin of babies, a wrong choice of body lotion, especially one with chemicals and hard fragrances may damage your baby’s beautiful skin. This is why it is necessary to go organic about the choice of your baby’s lotion. There are a lot of benefits for using the best organic lotion on your baby. Natural baby lotions contain essential minerals for your baby’s health. Special vitamins such as vitamin E contain antioxidants that help secure the skin cells of your baby from dying off. This helps in maintaining the health of the baby’s skin. It also helps boost the general immune system of your baby in a significant way. Organic body lotions are made from natural material such as shea butter, cocoa butter, and aloe vera. These materials are popular for their ability to penetrate the pores of skins to rejuvenate and hydrate damaged skin cells. The overall effect is that they help maintain a moist atmosphere on your baby’s skin for a long period of time. This is particularly necessary since the delicate nature of your baby’s skin does not permit frequent rubbing. Nearly every organic product is good enough for everyone, but for babies, it is necessary to find the best product. They are a lot of organic baby lotions out there on the market with their respective pros and cons. Even though looking at a product individually may give a fair idea about the better option, there are general guidelines that form the standard of what a quality lotion is. These guidelines are based on carefully selected attributes that are present in all good and not very good organic products. They have been seen as the general standards that inform the choice of customers with regards to what they consider as quality. 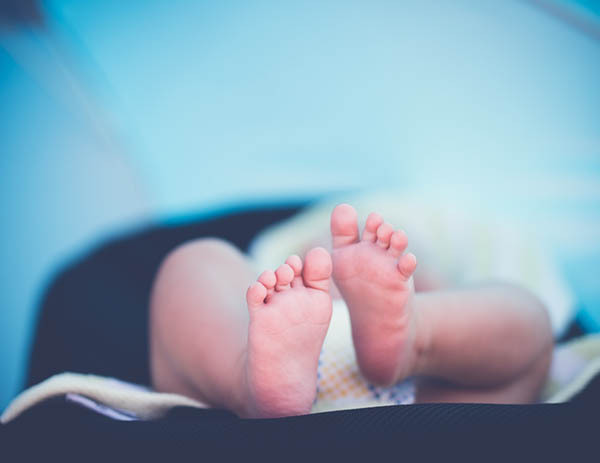 Since doctors recommend that the best products are used on babies, we have compiled these factors in order for you to choose the best organic baby lotion for your baby. With these guidelines in mind, your instincts may be the only necessary factor in determining your choice of the best product. An natural baby lotion may be good or bad for your baby depending on how much it treats the specific conditions of your baby. One key factor to consider when selecting a lotion for your baby is your baby’s skin type. The skin type of your baby may be normal, dry, sensitive or a combination of the latter two. Depending on your baby’s skin type, there are key ingredients you should expect to be present in the organic lotion in order to give your baby a tailored treatment. For example, sensitive skins should have a body lotion with some borage oil, shea butter, colloidal oatmeal, and honey. For dry skins, you should be looking out for ingredients like sunflower seed oil, cranberry seed oil, evening primrose and coconut oil. You should be looking out for these ingredients when choosing an organic baby lotion for your baby’s skin type. It is, however, important to notice that not all these ingredients may be available in a lotion at a go. In view of this, many lotion companies classify their products in reference to the ingredients they used in production and also what skin type it suits best. You can see the classifications by the company in order to make the right decision. The number of ingredients used in manufacturing a baby lotion has an effect on its quality. Baby lotions are known to be simple combinations that are not cumbersome to cause complications for the baby. Therefore, I usually prefer an organic baby lotion with lower ingredients. Baby lotions with lower ingredients tend to have a lower risk of causing skin complications. By looking at the list of ingredients listed on the package of most baby lotions, you can gain a fair idea as to what standard to set for yourself as the optimal number of ingredients for your lotion. This notwithstanding, some products have a slightly high number of ingredients but still does not pose a real threat. So the number of ingredients should be checked against the overall status of the baby lotion before a conclusion is made. However, baby lotions with water as an ingredient should be examined carefully. Water present in a lotion may prompt for a preservative. Therefore double check the ingredients if water is available to see if there are any accompanying preservatives. If there are no preservatives, the water should not be a problem. Common baby lotion preservatives that should be ignored include ethanol and glycerin. Even though most people usually look at a product’s particular features in order to inform a purchase, the description of the product may turn out to be misleading or even false. This is why you need to check out the authorization stamps on the produce. In every country, there are special agencies and government departments formed in order to provide labeling guidance, policies and inspection methods that are geared toward protecting customers from false and misleading products. Given the situation of babies, the is little or no room for a gamble. Always check to see the seal of authenticity and also the statutory authorization of the product. Every country has a special body for regulation the produce of organic products. For example, the United States Department of Agriculture ( USDA) is responsible for regulating the production and distribution of baby lotions. Based on the country of production, be sure to refer to the authentication of the lotion before buying. The general perception is that all organically labeled products are completely organic. But this is not an absolute reality. The organic nature of a body lotion may vary from that of another. For example, an organic product may be 75% organic whilst another maybe 100%. For purposes of ensuring quality and safeguarding your baby’s body, I would recommend you go in for fully organic products. 100% organic products are more rewarding and reliable. Organic products that are fully organic may ensure that nutrients are fully present in their right proportions. If the quest for quality and natural produce is your answer, then checking out for 100% organic should be your first call. Therefore when looking out for the best organic baby lotion, try to view the organic percentage of the product. This seems to be a no problem area at first glance. But upon careful examination, we have found out that the package of a natural baby lotion has an effect on the quality of the product. Organic products come in various forms, designs, and dimensions of packages. Firstly, we recommend that you select the package that is more baby friendly. Baby-friendly in a sense that it should be designed in a way that would cause no risk of problems to the baby’s handling. Since your baby is very inquisitive, selecting a lotion with a tight lid and blunt edges may help things out. Secondly, you may like to look at the degree to which the package conforms to environmental standards and recycling laws. Since organic products are natural products, it is only rational to expect that the company producing it should apply the best earthly values. An environmentally friendly package may not only inform you about the organic nature of the product but may go a long way to preserving our dear earth for us all. When you approach the market, the general perception is that higher priced products provide better quality. Even though this may be true to an extent, especially for some types of products, it may not necessarily be the case. Organic baby lotions are made from natural ingredients which avail themselves of relatively lower prices. Therefore based on your budget, check through to see what product rewards you with the better quality. You can use the factors we highlighted above to make your conclusions. Do not worry much about the price, just check to find a good baby lotion for your baby. Set your budget based on the favorable price ranges that organic baby lotions come with and select the best product based on its individual attributes.